2007 has certainly provided us with plenty of subjects to photograph on the train scene, a few selected photos are provided below. Thanks once again to all those in the industry who put up with us railfans. Electric Multiple Unit (EMU)Set 57 was decked out with "Destination Mandurah " logos as part of the lead up to the opening of the new Mandurah line. We were at Kings Park when it went past on 7 December 2007. By the time the line opened a couple of weeks later on 23 December Set 57 was back in standard colours. We were out in the Eastern Goldfield in July and David was able to get this photo of repainted Q4002 in its new ARG colours leaving the historic gold mining town of Menzies on 17 July 2007. 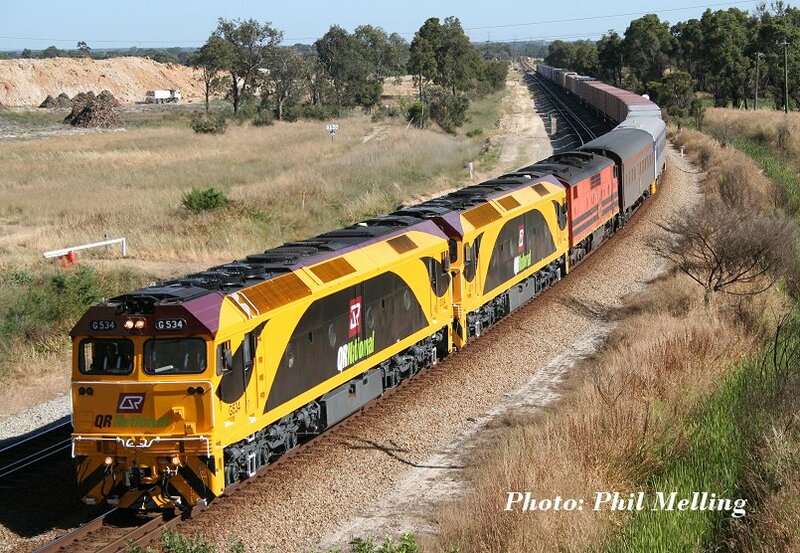 In our home town of Geraldton, the railscene tends to be dominated by the P class. 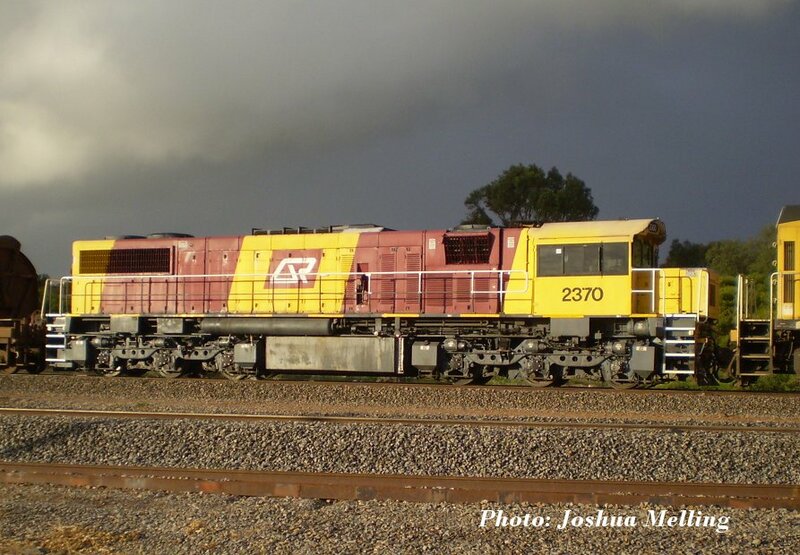 However in September 2007 a bonus arrived with Queensland Rail's 2370 working up on the coal train and then spending a few weeks in the district under evaluation. Here we see 2370 arriving on the coal in stormy conditions on 12 September 2007. ALZ3208/42211 wait at West Kalgoorlie with the Cook Fuel train on 19 July 2007. 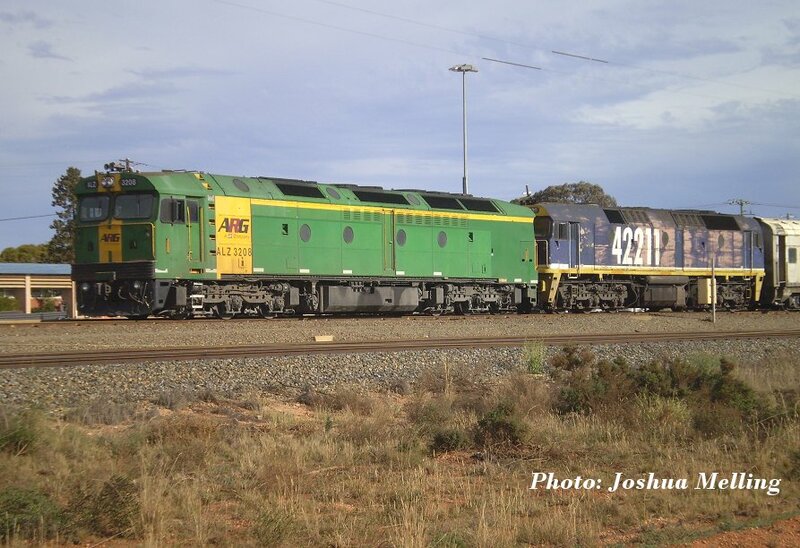 A visit to West Kalgoorlie 25 years ago you and you may have seen an AL but certainly not a NSW 422 class. How times have changed. 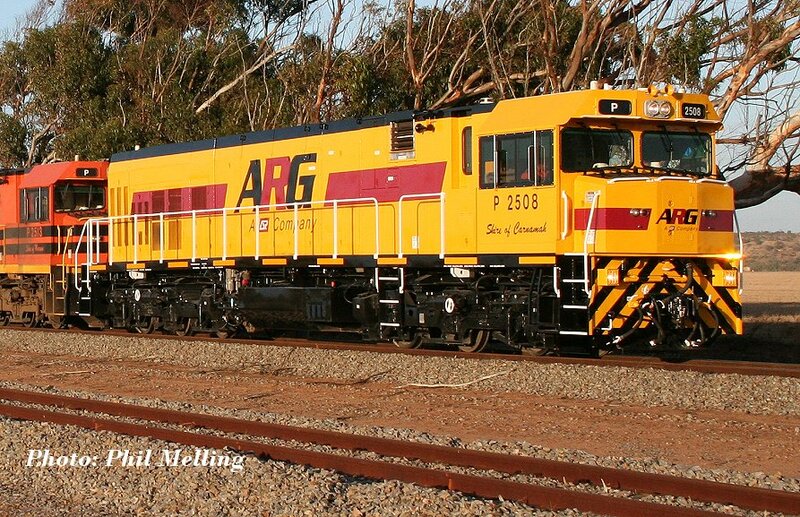 Right near the end of 2007 and rebuilt and repainted in the new ARG colours P2508 led the loaded coal train through Walkaway on 29 December 2007. 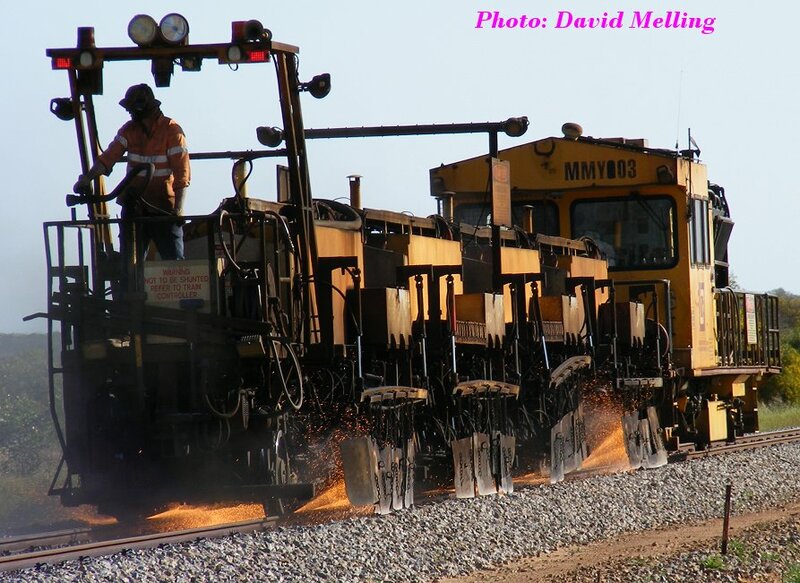 Another Queensland Rail visitor to the Geraldton District was a railgrinder, modern compact cameras with powerfull zoom lenses allow photos like this to be taken in safety. 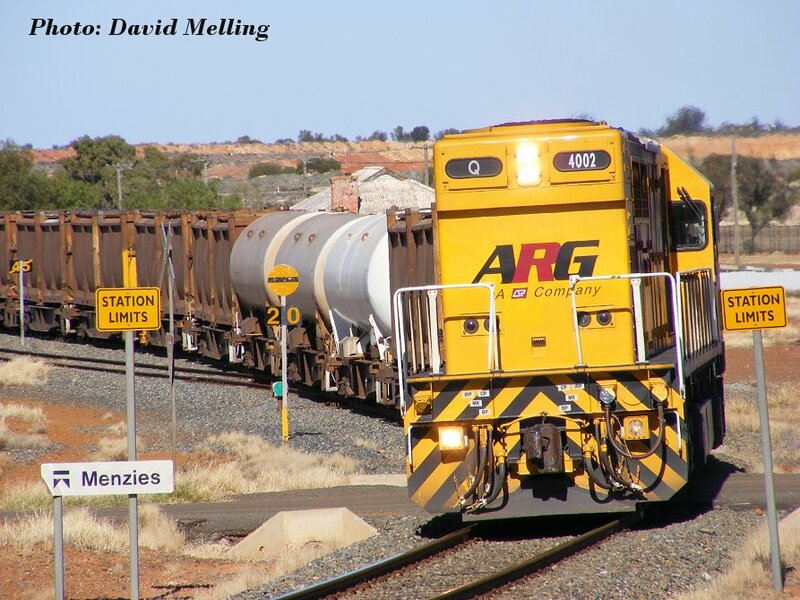 Taken by David on the Mullewa line on 3 September 2007. 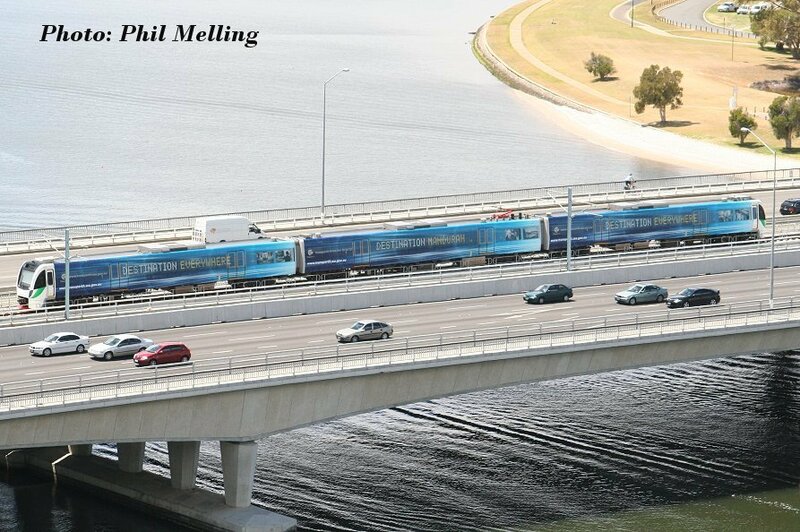 I could not believe my good luck in being in Perth on the day the first QR National freight train ran into Perth on 16 November 2007. Here we see G534/G516/GM44 coming through Hazelmere.